Almost everyone loves a party, and adding a specific theme can make the event even more fun. Cruises are fun and festive, so a cruise theme can make a natural party theme. You can welcome your guests on board a cruise ship and take them to a vacation destination without ever leaving dry land. A cruise theme also gives you flexibility to customize the party by choosing special destinations to highlight with your food, decorations and activities. If you are sending out paper invitations, create "embarkation documents" or "boarding passes" that allow your guests to "board the cruise." 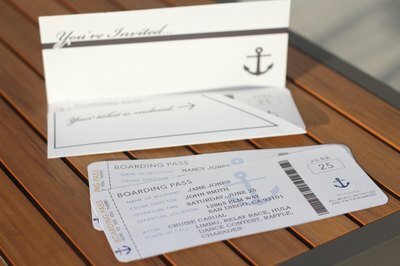 If you are using on-line invitations, use cruise-related clip art like cruise ships, anchors and sun loungers. Include a "cruise itinerary" on the invitations, and refer to yourself as the cruise director rather than the host. The party start time should be the embarkation time. Activities can be themed around "ports of call." Use a cruise-related term to describe appropriate dress. For a casual party, you can tell guests to wear "cruise casual." Many cruises have formal nights, so if you are having a black-tie affair you can still use the cruise theme and indicate this on the invitations. 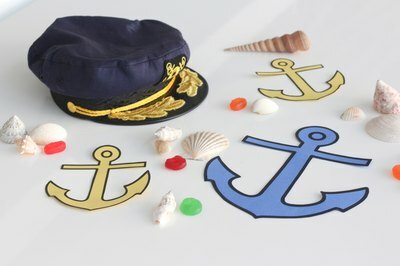 You can purchase inexpensive nautical decorations and party favors at most local and online party supply stores. Typical decorations might include paper anchors and life preservers, portholes, fish netting, sea shells, tropical scenes and sea life. If your cruise is themed to a specific destination such as the Caribbean, Mexico, Hawaii or Alaska, you can work this into the decorations. Party favors can include captains' hats, seashell necklaces and even Life Savers candies. Decorate the entrance door to be an embarkation archway, and take photos of the guests as they arrive as most cruise lines take embarkation photos. Email the photos to each guest after the party as a keepsake and a thank-you for attending. You can customize them with the names and date using a simple graphics editing program before you send them. Cruise ships are well-known for their sumptuous buffets. Serve a buffet to your guests to keep with the cruise ship theme. If your cruise is to a specific destination, customize the buffet to reflect it. For example, a cruise to Mexico might feature a nacho bar and a cruise to Alaska can have salmon. Many cruise ships have ice sculptures to decorate their buffets, so you can add these for a touch of authenticity. 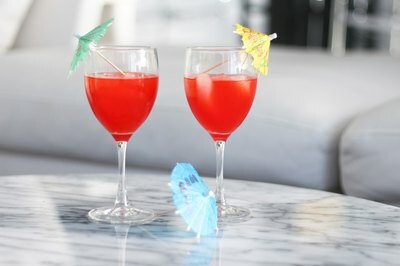 Serve tropical drinks like pina coladas and daiquiris that tend to be associated with cruises, vacations and tropical destinations.